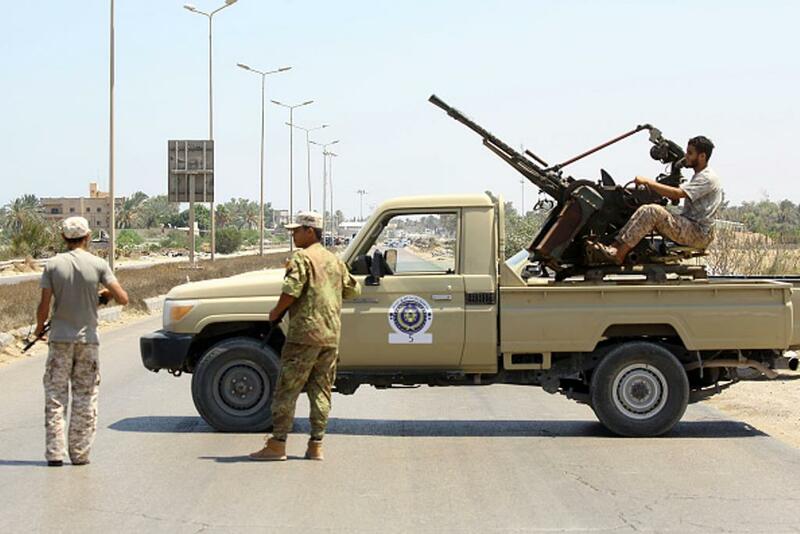 Benghazi - Some 400 prisoners escaped from a jail in the Libyan capital, authorities said Sunday, as fighting between rival militias that has killed dozens of people forced the U.N.-backed government to declare a state of emergency in and around Tripoli. The U.N. Humanitarian Coordinator in Libya, Maria Ribeiro, said the fighting has forced families to flee their homes and expressed concerned for the safety of internally displaced people, refugees and migrants in Tripoli. Yusuf Jlala, the minister of state for displaced affairs, said the fighting has displaced more than 1,800 families in the Ain Zara neighborhood since the clashes began on Aug. 27. Many are sheltering in schools or with relatives, while others have left the city, he said. Residents described scenes of chaos. "It is not safe to stay at home due to the shelling, and it is not safe to go outside as militias and criminals are wandering around the area, looting whatever they can get their hands on," said Salem Taleb, a 33-year-old resident of Ain Zara. U.N. Secretary-General Antonio Guterres has condemned the violence in and around Tripoli and called on all sides to abide by a U.N.-brokered cease-fire. The UN mission in Libya called on "the various concerned parties" to meet on Tuesday for an "urgent dialogue on the security situation" in Tripoli. It said a venue for the meeting will be announced later. Libya is currently governed by rival authorities in Tripoli and the country's east, each of which are backed by an array of militias. Other armed groups have carved out fiefdoms across the country, with many profiting from smuggling and extortion.